Game description: A young magician is sent by his king to investigate the strange happenings on the Island of No Return. Armed with his sword and his natural talent as a sorcerer, Cain attempts to be the first person to return from the island alive. Legend has it that the island is inhabited by numerous beasts, enormous dragons, and magical items that were supposed to be buried long ago. As Cain, you must solve several baffling scenarios and defend yourself while you search for the magic ring. 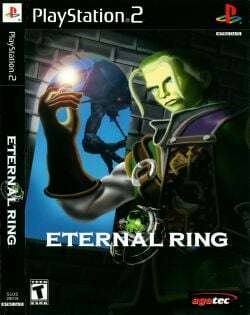 The player controls Cain Morgan, a young magician who is sent to investigate the Island of No Return, where a legendary artifact called the Eternal Ring is presumed to be held. The island is home to a large number of mythical creatures, including dragons, lizard men, and gargoyles, and is the location of magical gems and rings, including the Eternal Ring. Description: The game works fine until an area called Limestone Cave/Limestone Cavern/Looping Cave. Once you get to a certain point, your character instantly dies.